Chael Sonnen came up just short last weekend (Sat. October 13, 2018) in his bid for the Bellator heavyweight title. Sonnen was defeated by mixed martial arts (MMA) legend Fedor Emelianenko via first-round TKO. The bout was the semi-finals for the Bellator Heavyweight Grand Prix Tournament. The winner was to face Ryan Bader for the vacant heavyweight throne. 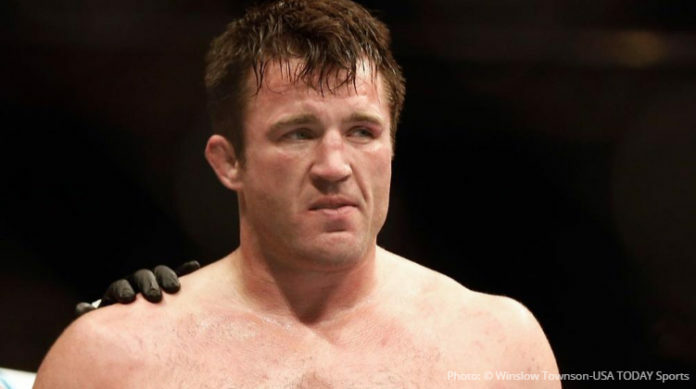 “Physically, everything hurts,” said Sonnen. “[Emelianenko] hit me with a missile about five-seconds in. That one still hurts a little bit. But other than that, I am doing well…My teeth are okay. “If I had one wish going into a fight, aside from serious injury, it’s that I won’t lose a tooth. I had that same wish since I started this when I was 19 years old. “But, yes they are all intact. Emotionally, I get heartbroken about these things. From a competitive standpoint, I have dedicated my whole life to this since I was nine years old and I would have started earlier if my dad would have let me. What do you think about Sonnen’s comments regarding his Bellator 208 loss?